Wes Anderson’s eclectic films have sometimes seemed burdened by the cinema of the past; The Royal Tennenbaums recalls John Irving’s The Hotel New Hampshire, while The Darjeeling Limited references Indian cinema. By looking back to the writings of Austrian humourist Stefan Zweig, whose The World of Yesterday is suffused by nostalgia, Anderson finds a common soul to work with, and the result is a complex, over-stuffed but frequently delightful film, at odds with modern fashions. Ralph Fiennes plays Gustave H, a concierge at a glamorous eastern-European hotel who takes an interest in a lobby-boy Zero (Tony Revolori). Gustave has a secret passion for the elderly Madame D (Tilda Swinton), but when she dies, an act of art-theft sets himself up as her killer, and Gustave and Zero break out of jail to attempt to clear his name. 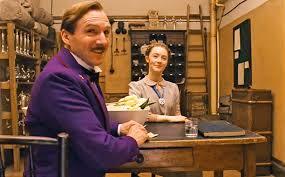 Told through flashbacks between an older Zero (F Murray Abraham) and an interested writer (Jude Law), The Grand Budapest Hotel is busy even by Anderson’s standards, with cameos from Owen Wilson, Bill Murray, Tom Wilkinson and a host of other familiar faces. The effect is charming, in that it evokes a past where character and style were omnipresent, contrasting nicely with the somewhat tatty setting of Zero’s recollection. The Grand Budapest Hotel has lots of comic situations, and even if there are fewer laughs, the elaborate staging and cheerful air of anything-goes storytelling will ender it to a small but passionate group of cinema-goers. Fiennes wasn’t first choice for the role, but he plays it with gusto, and the whole cast seem to be in on the joke. Dreamworks delve into the Rocky and Bullwinkle universe with Mr Peabody and Mr Sherman, a lighthearted romp for kids about a time-travelling dog (Mr Peabody) and his adopted son Sherman. One look at the character designs tells you that the overall intent is to be lovable, and while Peabody and Sherman’s adventures are easy to watch, they lack the post-modern gusto of The Lego Movie. Peabody may be a simple canine, but he’s also a genius, and his mastery of science and particularly time travel are established early on. The intricacies of parenting are a different matter, and Sherman has abandonment issues when he starts school. Sherman breaks his father’s golden rules by showing off their time machine to pretty schoolmate Penny, and a chase through history results taking in Troy, ancient Rome, the American revolution and more. 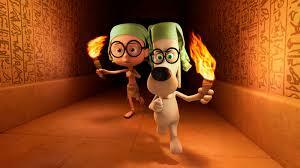 One adult double entendre aside, Mr Peabody and Sherman is a Bill and Ted-style romp through the history books, with enough references to stop adults getting bored and plenty of slapstick for kids. Penny, however, is an unlikable character, and her early aggression to Sherman is unjustified as she rapidly becomes a member of the time-travelling team. Her presence is a bum-note in an otherwise streamlined adventure; while not as good as The Croods or How To Train Your Dragon, Mr Peabody and Sherman is decent enough fare to keep the little-ones amused. John Michael McDonagh is a skilled writer director whose career has somewhat been overshadowed by his brother Martin. 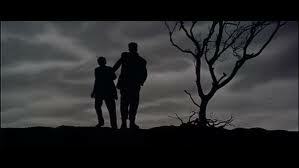 While Martin’s canon features belters like In Bruges and Seven Psychopaths, John Michael’s debut with The Guard seemed like a pale imitation; his latest film, Calvary features the same star as The Guard in Brendan Gleeson, and attempts the same mix of blackly comic patter, violent incident and philosophical ruminations that has been the hallmark of the brothers’ work. McDonagh deserves some credit for tackling issues to do with hidden abuse by the church head on; a telling scene sees Father James chatting to a little girl, only for her suspicious father to pull up in a car and whisk her away. The role of the church in a small community is under examination, and McDonagh pits Father James’s likability and affable nature against local distrust of the church. As with the guard, Gleeson is a great center for a film like this, and his performance holds Calvary together. Unfortunately, McDonagh does not have his brother’s gift of the gab when it comes to dialogue. Knowing dialogue (That’s a great opening line,’ “what a third act revelation’) suggests that Father James has been swallowing screenwriting manuals, or that McDonagh can’t resist showing off. The scenes with James’s daughter are heavy-handed when they need to be caustic, and there’s too much knockabout whimsy, albeit peppered with swearing. A bleak ending sits uneasily with the whimsy; whereas Martin is deft in his gear-changes, John Michael’s control of the dialogue is clumsy and childish in comparison. 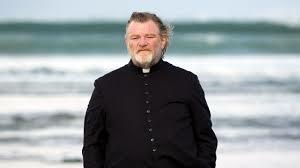 Calvary is a thematically interesting and modern film, but it fails to hit the targets it aims for. Liam Neeson has become a happy center for many a genre thriller, including Taken 1 and 2, Unknown and now Non-Stop, a traditional suspense drama which loses its head somewhat after a taut first hour. 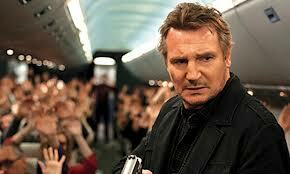 Neeson plays Bill Marks, a Belfast-born air Marshall whose trip from New York to London turns into a nightmare. A series of text messages from an unknown opponent promise to kill and passenger every twenty minutes until 150 million dollars are put into a secure account. 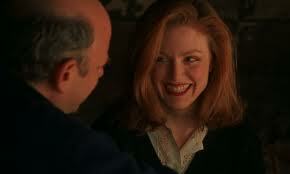 With the help of fellow passenger Jen Summers (Julianne Moore), Bill tries to work out whereabouts on the plane the messages are coming from, questioning and occasionally beating up his fellow passengers as he races against time. Non-Stop’s poster image, of Neeson firing his gun inside a diving plane, suggests much more action than Jaume Collet-Sera’s thriller delivers, but the first couple of acts have plenty of tension in an old-fashioned who-dunnit style. Things get pretty silly once the mystery is solved, but Neeson and Moore both giving a convincing account of their characters. Non-Stop isn’t a classic, but a reasonable time-passer for those who enjoy seeing a big movie star in a typically ludicrous scenario; when a newsreader mentions ‘unbelievable plot twists’, it’s hard to imagine the audience not agreeing. David Mamet adapts Anton Chehkov’s play Uncle Vanya for director Louis Malle in the 1994 film, but the action is mainly restricted to a Broadway theatre where the play’s cast are rehearsing. There are few props, the actors are wearing their street clothes, and there are breaks for discussion and rehearsal. This experimental approach blows the cobwebs off the play, with George Gaynes (Lassard from Police Academy) showing his power as a dramatic actor as the professor, Julianne Moore as his second wife, and Wallace Shawn is the brother-in-law who claims that the professor damaged his life. By not opening up the play, Malle and Mamet lay themselves open to charges of theatricality, but Vanya on 42nd Street is a fascinating film, not so much breaking the forth wall as destroying it, and using the creative process of film-making to bring a classic text to vibrant life. Werner Herzog can be a frustrating director to follow; for every Grizzly Man triumph, there’s a tedious curiosity like The Wild Blue Yonder. That’s why its so surprising to find him in charge of a thriller Like Bad Lieutenant; Port of New Orleans, which updates the corrupt policeman of Abel Ferrara’s 1989 original for a fresh and admirably crazy reboot. Nicolas Cage is ideally cast as booze and drug-filled copper Terrence McDonagh, who traverses post Katrina New Orclean as part of a homicide investigation. McDonagh is an accident waiting to happen, but Herzog keeps the audience guessing as to how his problems will finally ensnare him. A fabulously random cast ranging from Val Kilmer to Fairuza Balk and Eva Mendes provide support, but Cage on form is something to behold, and he grounds Herzog’s offbeat policier with off-kilter charisma. Writer/director Bill Condon skillfully adapts Christopher Bran’s novel about James Whale, the director of the 1931 version of Frankenstein and a classic Brit in Hollywood. Sir Ian McKellern plays Whale as a tortured soul, with a charming veneer barely covering his anxieties about The Great War, and seeking solace in a relationship with his gardener Clayton Boone (Brendan Fraser). The delicacy of this story is balanced by plenty of evocations of cinema classics to please film buffs, as Elsa Lancaster (Rosalind Ayres), Colin Clive (Matt McKenzie) and Boris Karloff (Jack Betts) are all brought to life without the use of lightning, and the atmosphere of the expat community of 1930’s Hollywood is brought to life with considerable charm. Fraser and McKellern appear in so many daft movies that it’s a pleasure to see them with something serious to do, conveying the essence of a complex relationship between two men at a time when many viewed such love as something monstrous.